I am sharing another water bird today due to playing Bird Poker over on G+. This is one I captured in June on the lake outside Alexandria Minnesota. 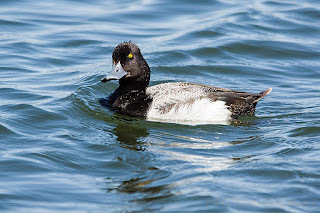 I had to look this one up but I am pretty sure it is a Lesser Scaup. I love the yellow eye. 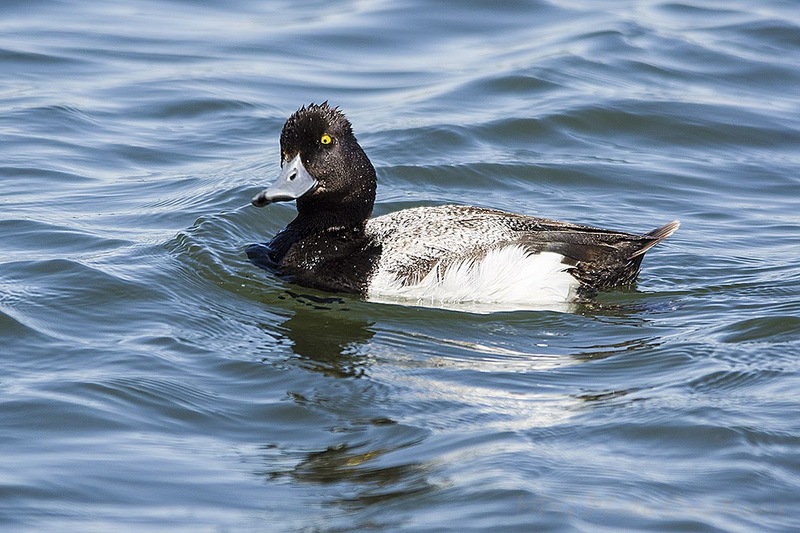 Apparently it is a common diving duck.